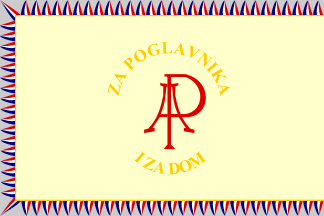 Flag of the regiment (Reverse), the inscription reads, For Poglavnik and for the homeland. On September 27, 1942, the regiment in the composition of the Weber Group participated in the attack on the "Red October" factory on Volga River, later celebrated in the movie Enemy at the gate. From October 23 to December 29, 1942, the Regiment was part of the 79th Division. 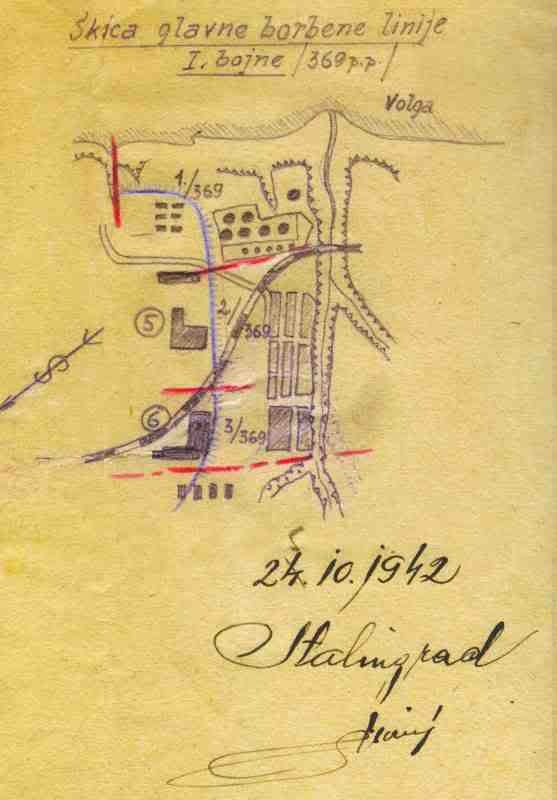 The 369th Regiment in Stalingrad itself was mostly around the railway line near the Volga and the celebrated "Red October" factory. At the end of September 1942, Sergeant Dragutin Podobnik pointed out in very difficult and deadly battles during the conquest of "Red October". On his own initiative, without the support of assault guns only with ten (18?) Legionnaires took the entire factory building 'T-shaped' in the Red October lossless. 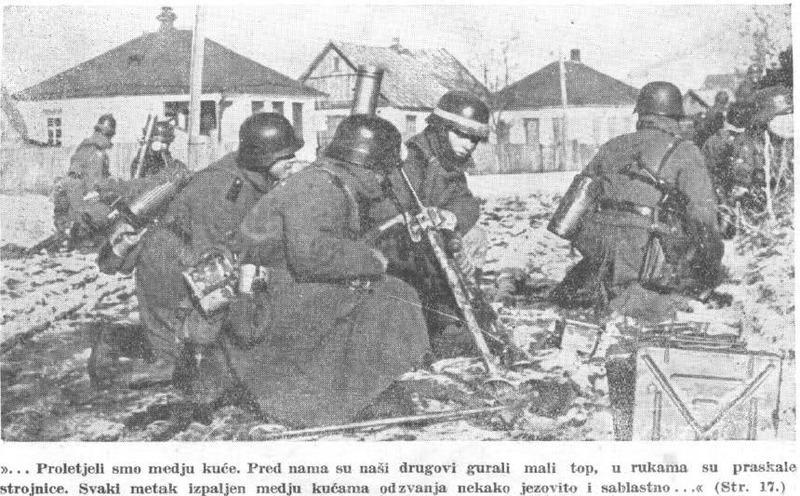 During the first two weeks of heavy fighting in the city itself, by October 13, 1942, Lieutenant Aleksandar Franic and Major Paar died among others. 120 legionnaires dead, 352 were seriously wounded and 50 disappeared. Heavy fighting in late September and throughout October, exhausted and halved most of the units of the regiment. The regiment breakthrough to the Volga with terrible losses and among the few German troops fulfills the planned goals. 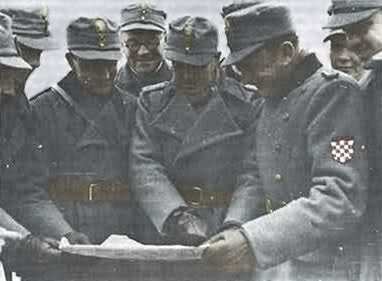 Because of its courage and success, the regiment was exceptionally praised by the German Command. The Regiment was reduced to only 983 legionnaires by October 21, 1942. 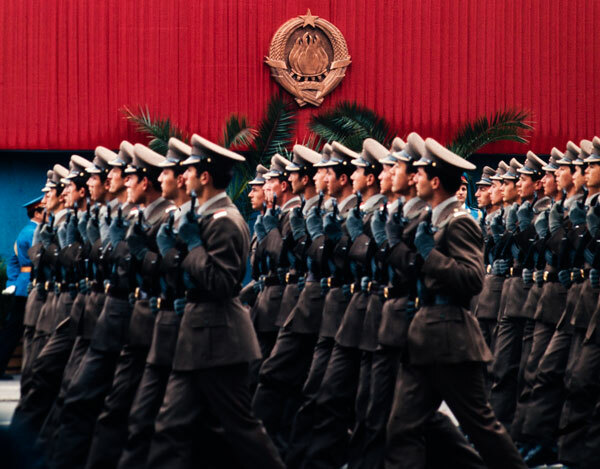 In addition to minor reinforcements from the homeland of several hundred Legionnaires, there were no new fresh legionaries to the very end. 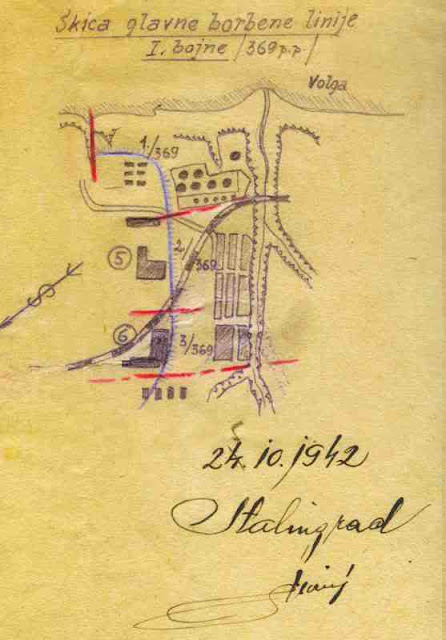 After 23 November 1942 together with Paulusovom 6th German Army, 369th regiment was completely surrounded in Stalingrad cauldron. Colonel Viktor Pavicic due to lack of food issued a detailed statement on the slaughter of horses and salami production and distribution of food to those who were on the front line and who do not hide from duty. 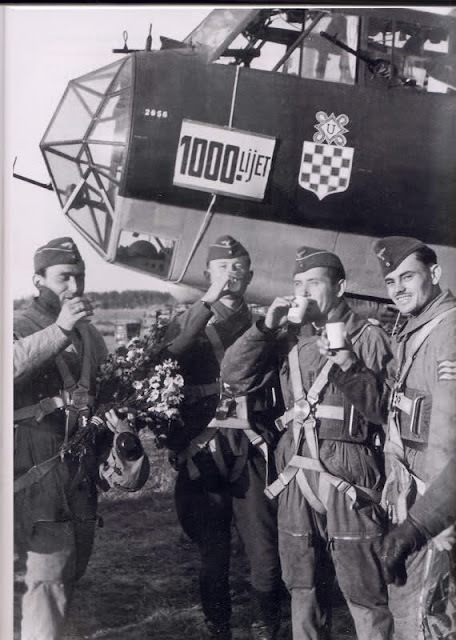 From the war, diary gives the impression that by the end of December command of the regiment, maintaining frontline command of Major Tomislav Brajkovic. He was transferred to the German unit, together with Major Tahir Alagić, after being in conflict with other officers on his own request. 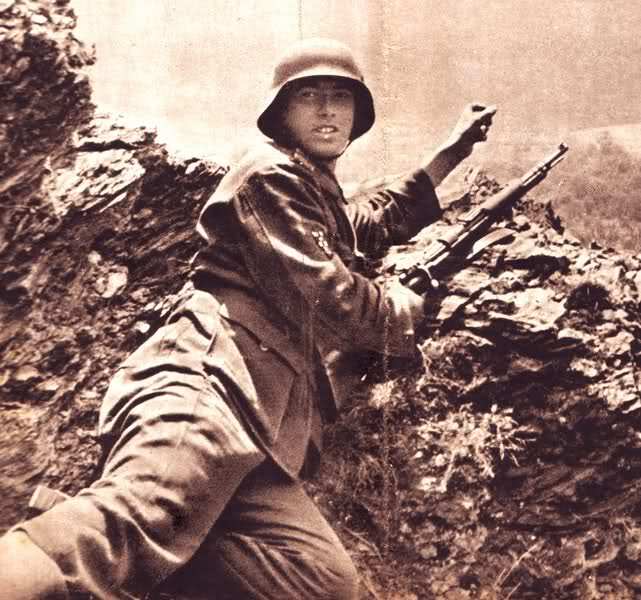 Alagić was later wounded and evacuated by plane and was shot in Yugoslavia during 1948. 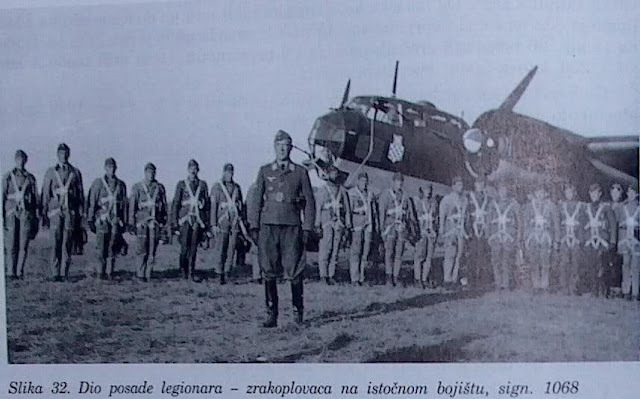 During the fierce and exhausting defensive battles around "Red October" on Christmas and New Year's Day in 1942 and until December 29, 1942, the regiment was dragged to the railway line by heavy losses and finally at the flight school. 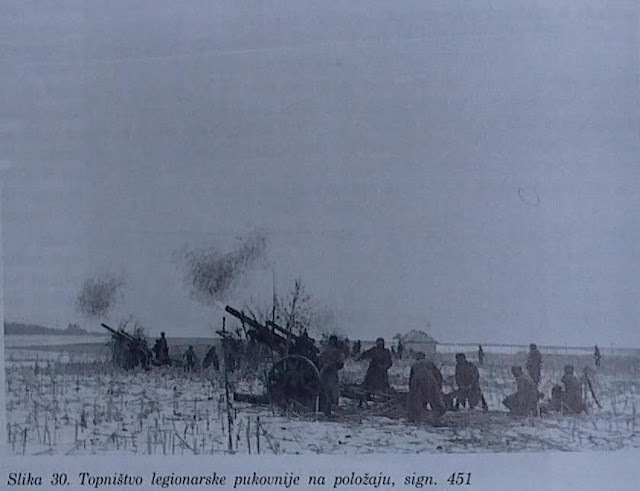 January 1, 1943, After heavy battles, the remains of the regiments were reduced to a combat position of only 200 meters and the artillery position at the flight school. 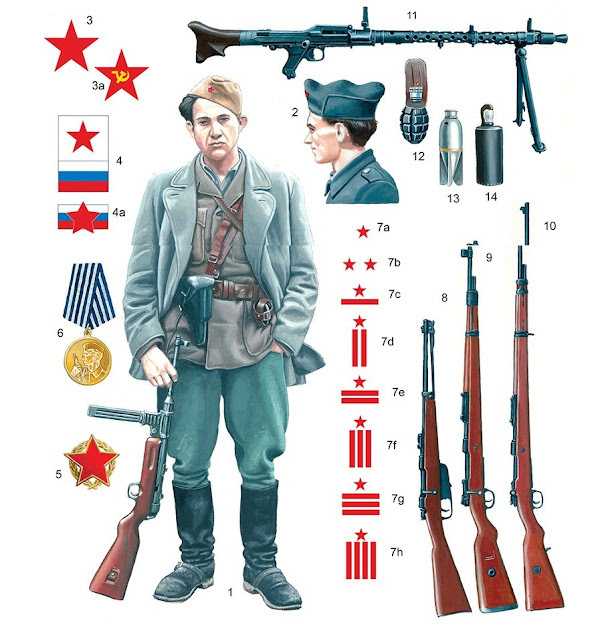 The strong Russian attack on January 10, 1943, breaks down the remaining 70 legionaries on the combat line, allegedly partly because of the lack of ammunition. January 13 or 14, 1943. After the replacement of Pavičić (on his own request to General Sanno) and written order by General Sanne, the last command of the 369th regime was taken over by Lieutenant Colonel Marko Mesić. 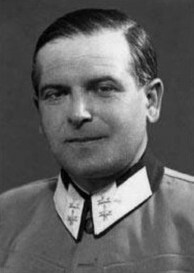 Colonel Viktor Pavicic disappears never unclear circumstances probably 20 January 1943. 2 February 1943 Exposed winter temperatures below minus 30 degrees Celsius survivors, mostly wounded, frostbitten and ill members of the 369th Regiment surrendered at flight school. Only during the last seventeen days of fighting killed more than 170 legionnaires as a loss of about 25% of the people. 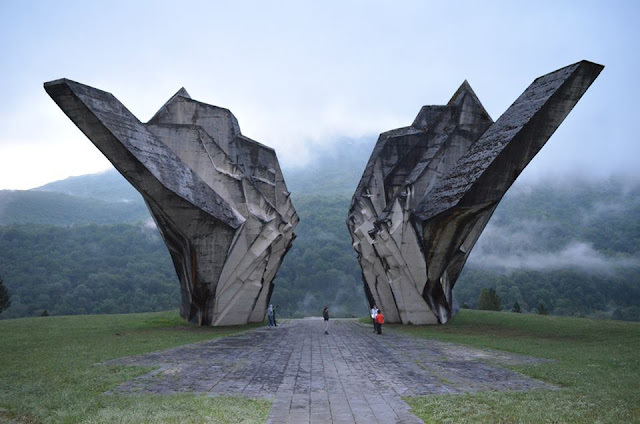 Surviving cell legions withdrew under the command of Lieutenant Colonel Mesic in ruins flight school to surrender. 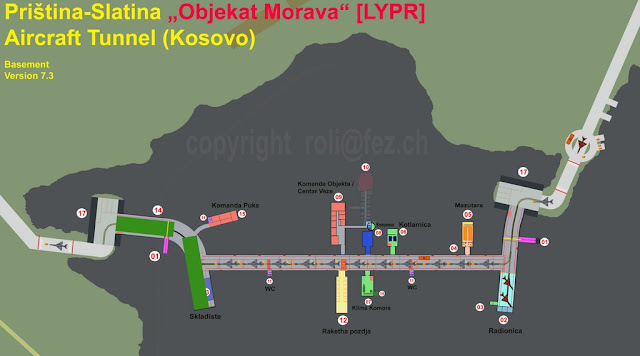 By the statement of Lieutenant-Colonel Mesic dated 1948, a total of about 700 besieged legionnaires and the CO of the 369 regiment were surrendered. On the night of 22nd January 1943, in the last group of wounded legionnaires who had departed in a very dramatic circumstance by Stalingrad, there were two writers of the war diary of the regiment. 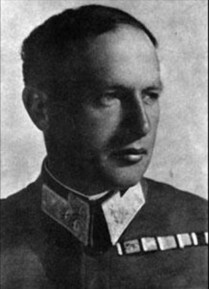 Sick Lieutenant Rudolf Baričević and Sergeant Ervin Juric took in a plane regimental war diary and many preserved documents. The Legion assembled at Beketovka on river Volga where they were joined by some 80,000 mainly German as well as Italian, Romanian and Hungarian POWs. 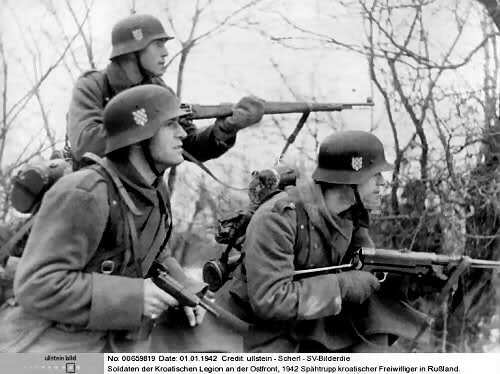 They were sent on a forced march to Moscow where they were joined by Croatian legionnaires from the Light Transport Brigade who had been attached to Italian forces on the Eastern Front. From there, they were sent to work camps in Siberia. Many died on the march due to starvation, hypothermia or disease. In the first months of the Russian captivity, several hundred legionaries died and disappeared. 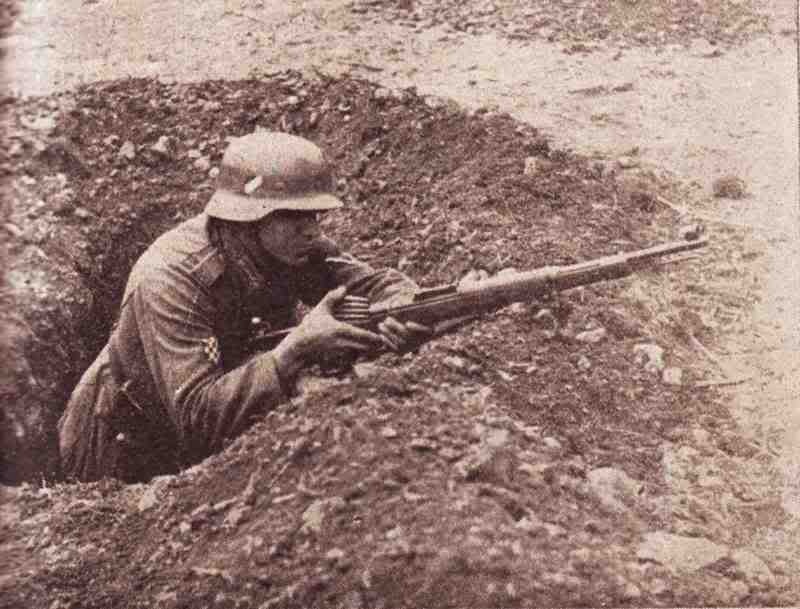 According to Mesic's statement of about 700 captured at Stalingrad, there was only about 400 surviving legionnaires which would mean 40% of the losses in this relatively short period of time. Most of the captured officers and legionnaires 369th Regiment in Russian captivity joined the newly formed unit called the 1st Independent Yugoslav Brigade under the command of Lieutenant Colonel Marko Mesic and other Croatian officers captured.